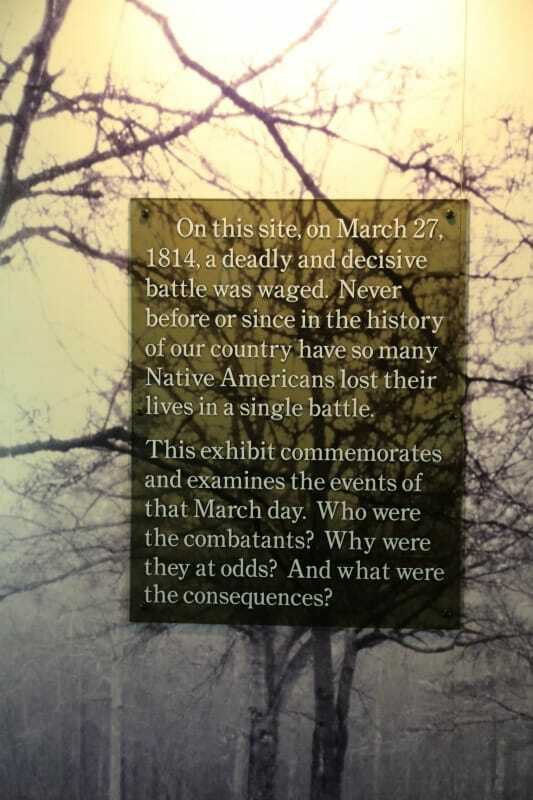 On March 27, 1814, a deadly battle was waged at Horseshoe Bend. This battle resulted in the largest loss of Native Americans in a single battle in history. 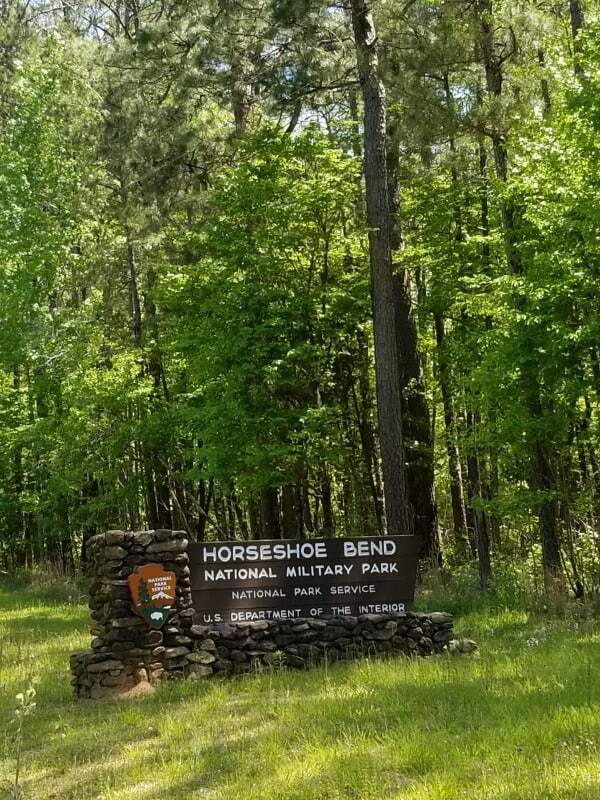 Horseshoe Bend National Military Park was created to protect the land and make sure that we are all aware of the Battle at Horseshoe Bend. When you visit the park make sure you give yourself at least an hour or two to enjoy the scenic drive, film and visitor center. The park does not have any food or concessions so pack water and snacks with you. 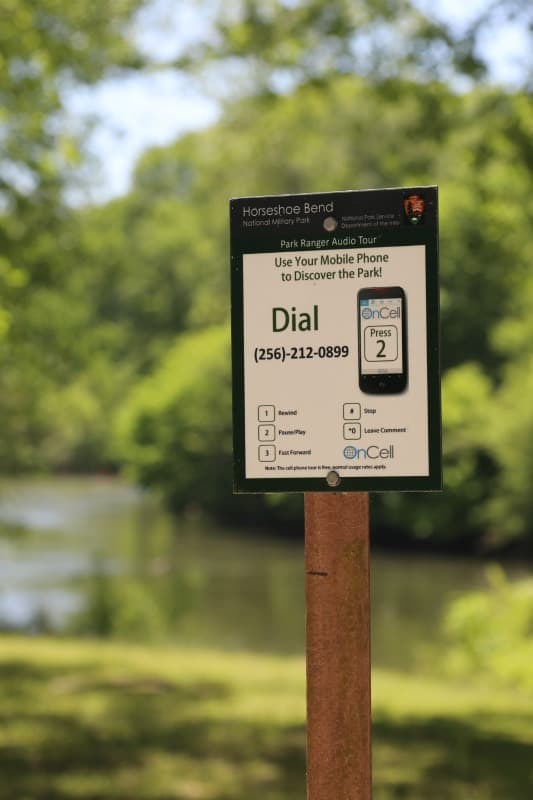 This park includes a gorgeous scenic walking trail that would be perfect on a cool Alabama day. Be prepared for the heat and bugs in the summer months! A large portion of this park are open meadows without shade. The Battle of Horseshoe Bend occurred on March 27th, 1814 when General Jackson led over 3,000 men to battle the Red Sticks. During the battle, more than 800 of Chief Menawa’s Red Sticks lost their lives. Chief Menawa was injured but able to escape the battlegrounds. Many of the Red Sticks refused to surrender after the battle and joined the Seminoles in Florida. In August 1814 a delegation of Creek chiefs surrendered to Andrew Jackson at Fort Jackson. The treat of Fort Jackson ended the conflict when the Creeks surrendered 23 million acres to the United States. The state of Alabama was created from this land. 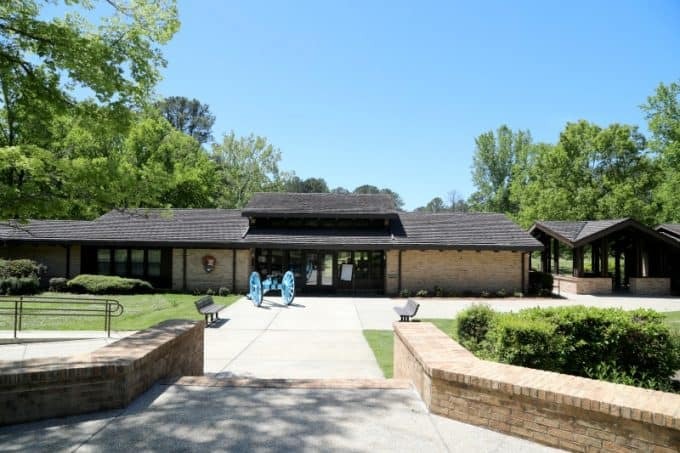 The visitor center is the perfect place to start your visit to Horseshoe Bend National Military Park. The park movie The Battle of Horseshoe Bend is a 22-minute movie depicting the events leading up to the Battle at Horseshoe Bend. 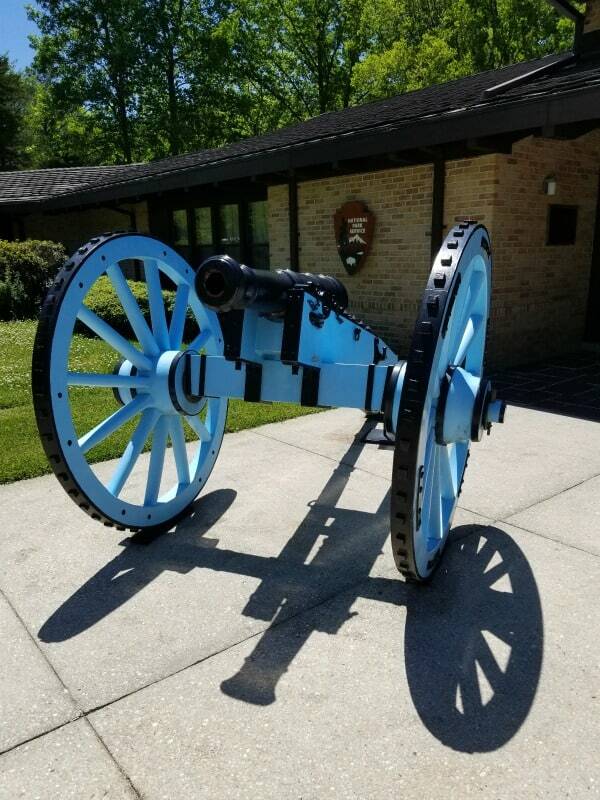 The three-mile auto tour takes you through the battlefields starting at the visitor center. 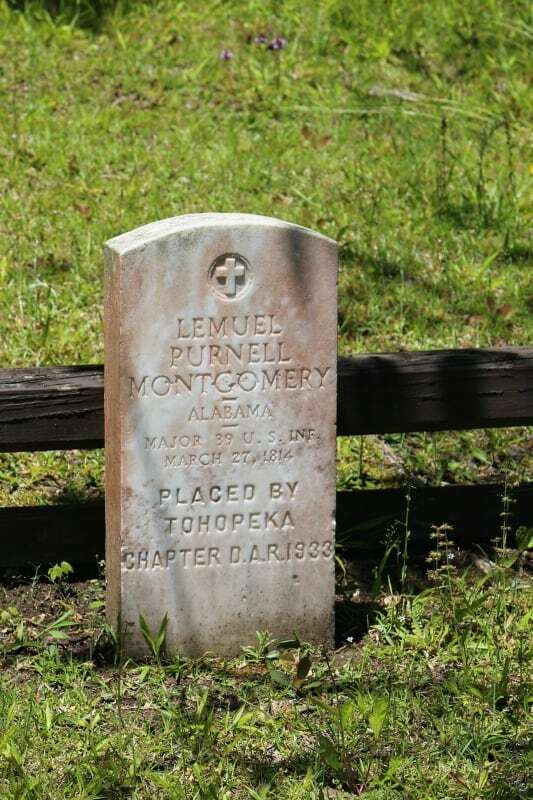 There are multiple pullouts and interpretive signs to explain what happened at each location. 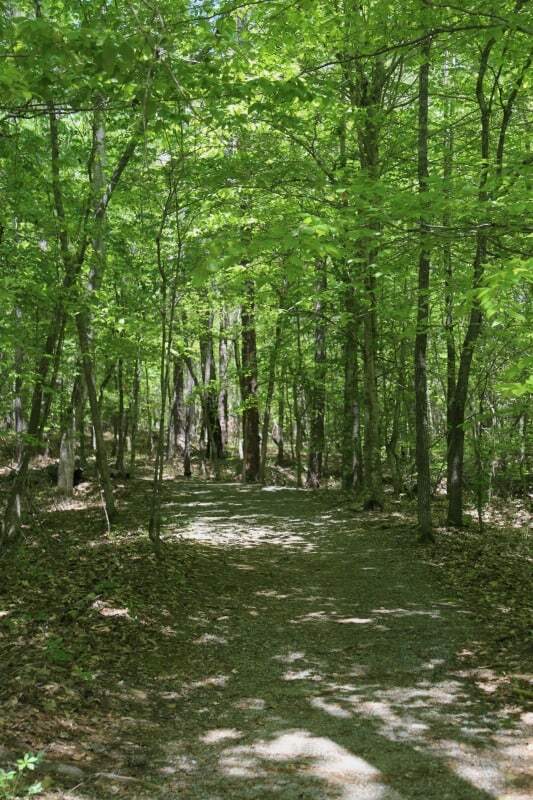 The 2.8-mile nature trail starts at the overlook parking lot and travels through the battlefields. Be prepared for the heat, bugs, and poison ivy. Stay on the trails and watch where you step. 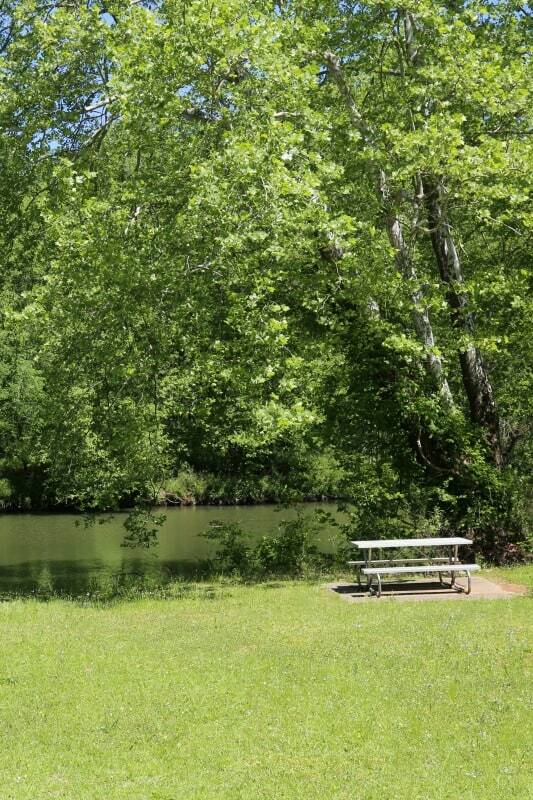 Pack a picnic lunch or snacks and enjoy the river views. Make sure and pick something up before you visit the park. There are no concessions or food available within the park. The park is filled with wooded areas and open fields perfect for bird watching. 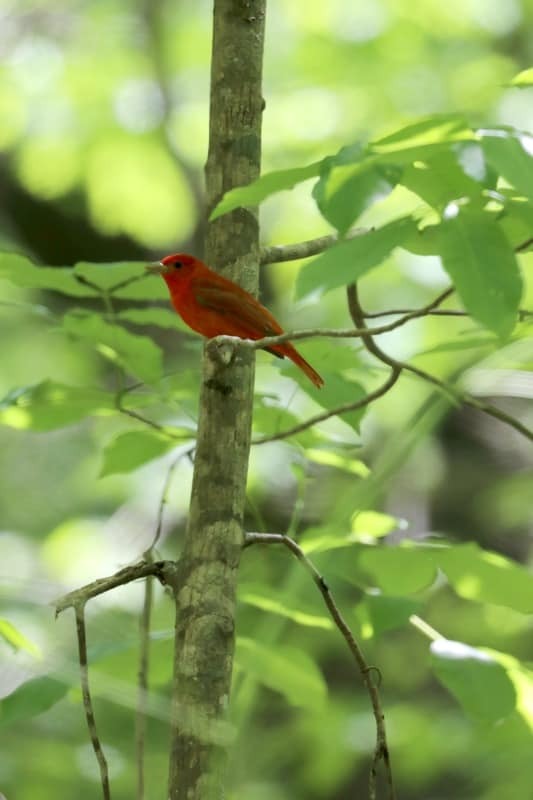 We were so excited to see a Scarlet Tanager during our visit. 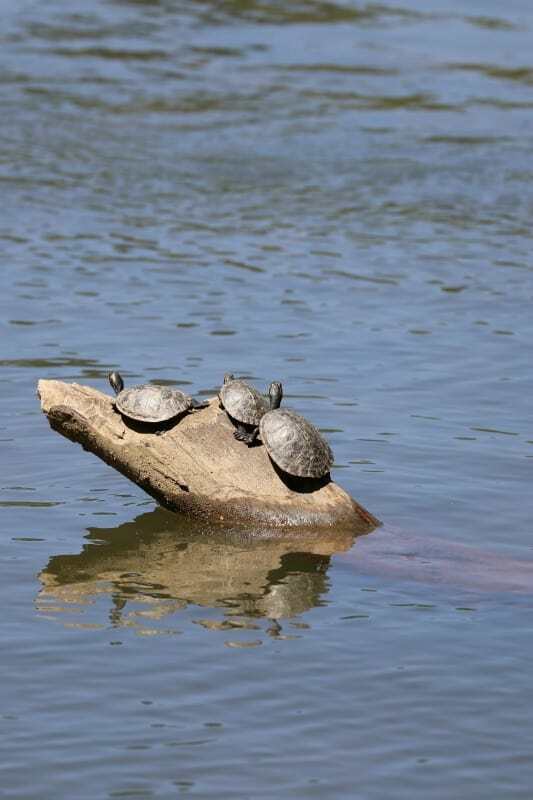 The Miller Bridge Boat Ramp located inside the park is the perfect place to launch a canoe. There are multiple parking spots, a picnic table and interpretive panels at the boat launch. The area can be rocky so make sure to check the current water levels before heading to the park. 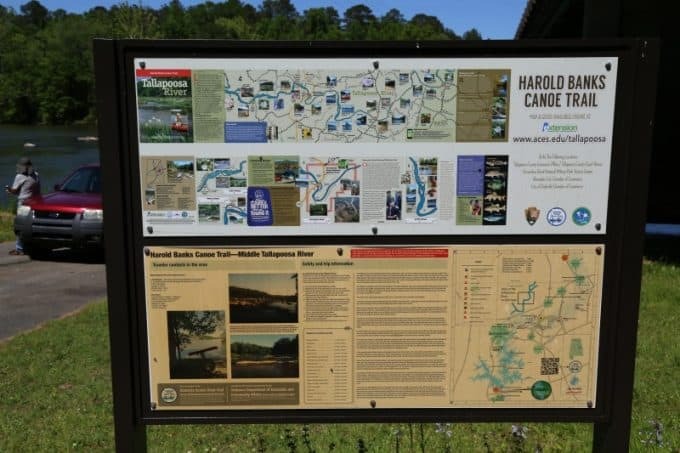 The Harold Banks Canoe Trail covers the 25-mile stretch of the Tallapoosa River that run through Horseshoe Bend NMP. Camping is not permitted along the river as it runs through the park. The Junior Ranger program will take a minimum of 30 minutes to an hour depending on the age of the participant. Most of the answers are found along the 3-mile auto tour. The junior ranger program does include looking at many interpretive signs at each of the stops. Some of the questions can be heard during the movie at the visitor center. On Tuesdays and Thursdays during June and July, explore Creek Indian culture with park rangers. Reservations are required for Creek Culture Camps. All camp activities are from 9:00 a.m. – 12:00 p.m. Choose Tuesday or Thursday. June programs repeat in July. June 12 or 14 – American Indian Crafts – What did the Creek eat? What kind of tools did they use? What kind of houses did they live in? Learn more about Creek Indian life while you make take-home crafts. 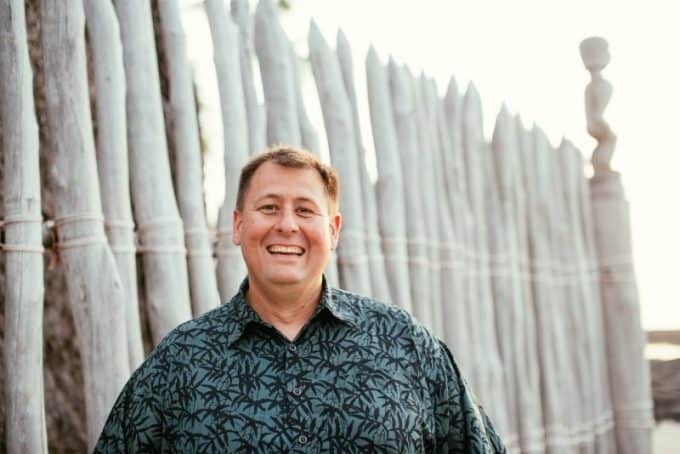 June 19 or 21 – Creek Indian Games – What do you do for fun? Join a ranger to learn about Creek Indian games and other pastimes. Our obsession with football is only a fraction of the intensity the Creeks brought to their stickball game. Learn more with a park ranger, and actually play this historic game! June 26 and 28 – Creek Family Ties – Where would we be without our family to guide and teach us? Join a ranger to discover surprising facts about Creek Indian families, their society, and how their legacy still shines. July 10 or 12 – American Indian Crafts – What did the Creek eat? What kind of tools did they use? What kind of houses did they live in? Learn more about Creek Indian life while you make take-home crafts. July 17 or 19 – Creek Indian Games – What do you do for fun? Join a ranger to learn about Creek Indian games and other pastimes. Our obsession with football is only a fraction of the intensity the Creeks brought to their stickball game. Learn more with a park ranger, and actually play this historic game! July 24 or 26 – Creek Family Ties – Where would we be without our family to guide and teach us? Join a ranger to discover surprising facts about Creek Indian families, their society, and how their legacy still shines. As always, programs are family-friendly and FREE to the public. The nearest commerical airports are located in Montgomery, AL (65 miles), Birmingham, AL (85 miles) or Atlanta, GA (110 miles). Park Fees – There is no fee or park pass needed to visit. 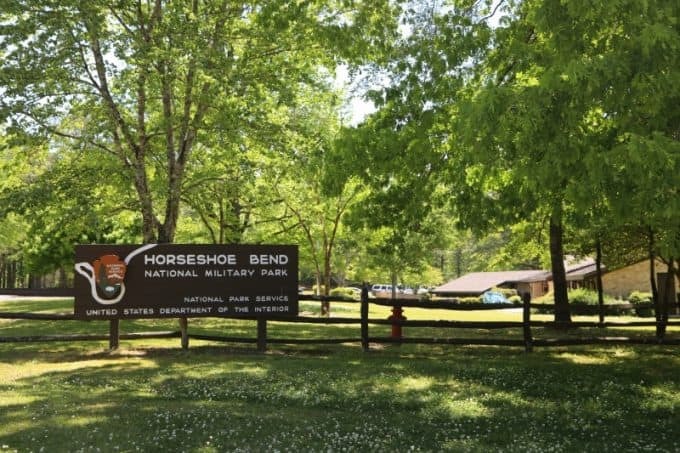 Horseshoe Bend National Military Park was established on August 11, 1959, and includes 2,040 acres. 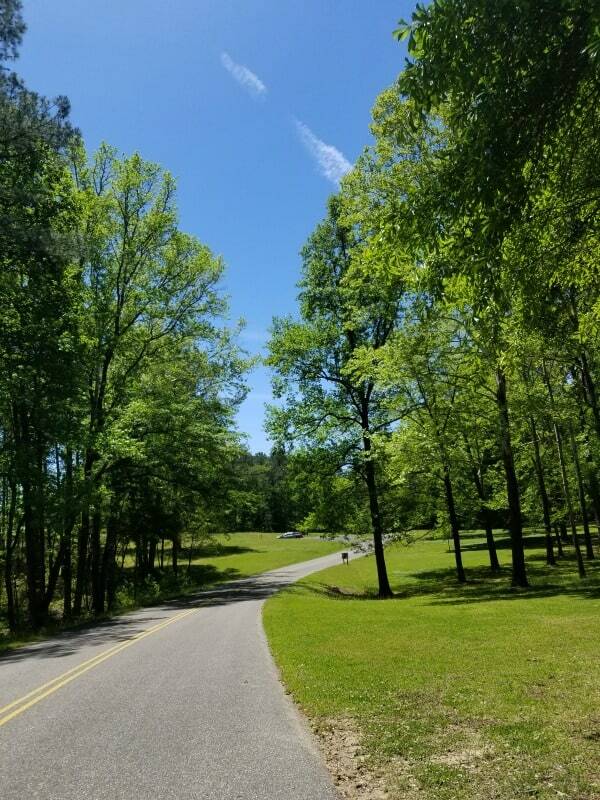 Closest campground – The closest campground is six miles away at Wind Creek State Park south of Alexander City. Campgrounds are also located in the Talladega National Forest and Mt. Cheaha State Park both 50 miles north of the park. Check out the other great Alabama National Parks and Georgia National Parks.